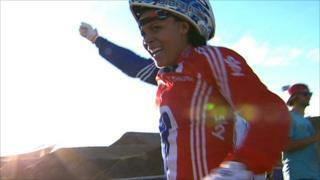 Great Britain's Shanaze Reade wins the London 2012 test event on the Olympic BMX track, but expresses concerns to BBC Sport's Nick Hope about the safety of the course. 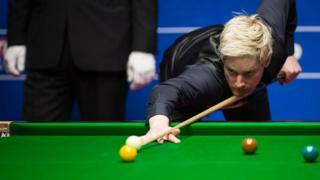 The event was also hit by delays due to inclement weather in London, but Reade is delighted to win in an event she rates "as high as the World Championships" in terms of her Olympic preparations. Watch more highlights on the Olympic Countdown programme on BBC Two and the BBC Sport website (UK only) at 1300 BST on Sunday.